Our Wilderness Compact 2+ has all the attributes from its smaller brother the Compact 2, however it comes with 2 extra LEDs. 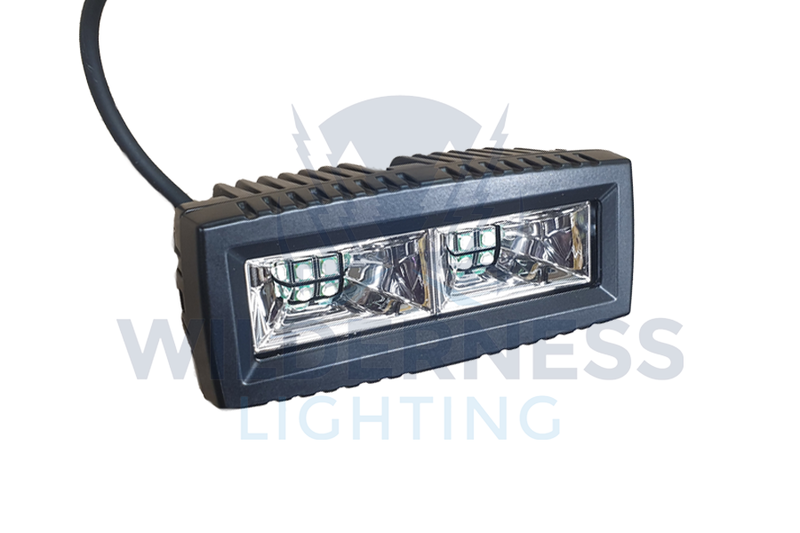 Fitted with 4 x 5w CREE LEDs and producing 2200 Lumens, they come with a choice of a flood, spot or scene reflective beam pattern. The Compact 2+ scene light is fitted with larger 10w chips to produce an impressive 2800 lumens in a very close area. This small light unit certainly punches above its weight when it comes to lumen output. Very versatile due to its very small size means it can be fitted virtually anywhere while its flexible mounting bracket gives 90 degree’s of fitment. 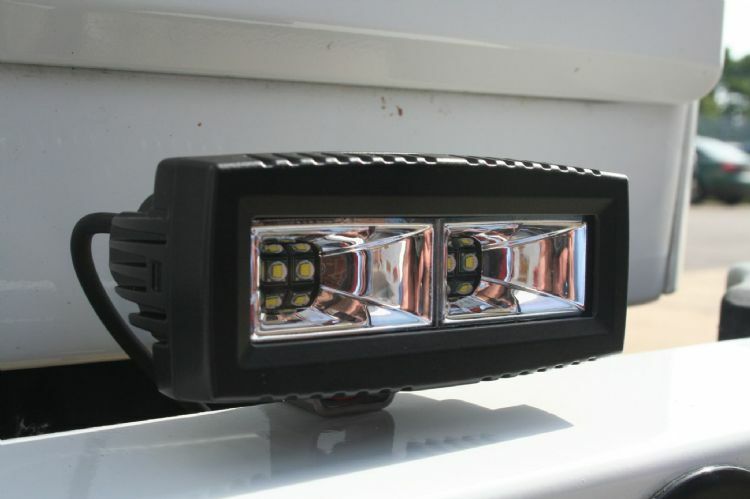 Ideal work or driving light when fitted on smaller machines when space is a premium. Fully ECE Approved to ECE R10 Standard. The housing of the light is made of weather-resistant and waterproof aluminium and coated with a UV-resistant paint to prevent chipping and fading for a lasting finish. The standard colour is black however we can supply these in a marine white. Custom paint colours can also done at extra cost . The lenses used are equally hard wearing as its aluminium housing. The 3mm Lexan lens are optically transparent despite being unbreakable and scratch-resistant. These COMPACT 2+ lights come with a water proof Deutsch connector on the light together with a matching connector with wire tail. A full wiring harness can be purchased separately from our accessory page. Mounting brackets and hard ware also included ready for installation. As with all our lights they are made to be used and abused.... we are so confident in the durability and build quality we offer a 3 year replacement guarantee, should your light stop working within the 3 years we will replace it free of charge.